There’s a ton of wedding directories out there (as you probably know!) but there are few better than Coco Wedding Venues. Owner Emma has put together “A Curated Collection of Wedding Venues for the Style-Focused Couple” and sums up her brand as “luxe, stylish, unique, quality, bespoke and cool”. We’ve been members of Coco Wedding Venues since they first launched in 2013 and we love their focus on merging the functionality of a venue search tool with stylish wedding inspiration. Emma recently featured one of our 2017 summer wedding on her blog. Alena & David’s wedding has the bang-on-trend colours of mustard and burgundy, lashings of laughter and bags of wedding style as you’ll see from Emma’s full blog post. Click on the photo below to read the full feature including Alena’s story of why they cancelled their yurt appointment after seeing Ever After in person. 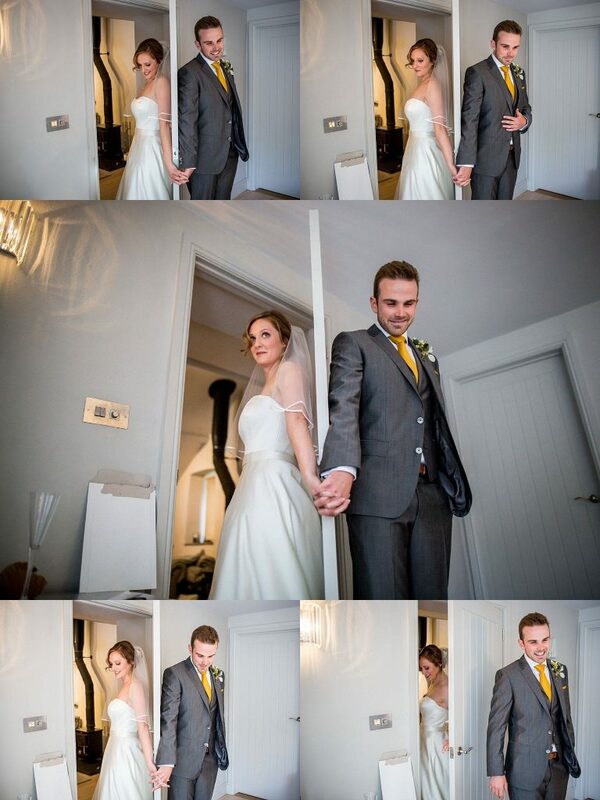 There are loads of gorgeous pics of Alena & Dave’s wedding over on Coco but I wanted to share this series of photos of their “first look/no look” which is so gorgeous. In case you haven’t heard of this new ‘tradition’, it involves the couple meeting together before the ceremony without actually seeing each other but just holding hands and having a moment together and possibly having a few quiet words together. The connecting door from the bedroom to the living room in the honeymoon cottage is the perfect place for this to be set up as the couple have separate exits from the cottage – essential if you’re going to pull this off! This set of photos brings a lump to my throat every time, you can feel the love between them – so special. You can see more of our real weddings over on our dedicated real weddings page here on the website. Are you planning a first look at your wedding? Drop me a line at nicola@lowergrenofen.co.uk and let me know!